Now you have decided to move on to some serious work with your blog. So it's time to buy and set up a custom domain in blogger. So what's a custom domain first. In simple words creating your own property. Till now we have 'theguyscomputer.blogspot.in' as here The Guy's computer had a sub domain 'blogspot.in', but as soon as I brought a custom domain, and after setting up that custom domain the 'blogspot.in' was removed. And a lot more. You can do Google research too. Now before just jumping for buying a Domain name, never forget to research for discount coupons. As a result of these coupon code I got 'theguyscomputer.com' in just 135 INR for One Year. So that's the benefit of applying coupons. As I have brought this domain name from Go Daddy, So I will show the process of Buying domain. 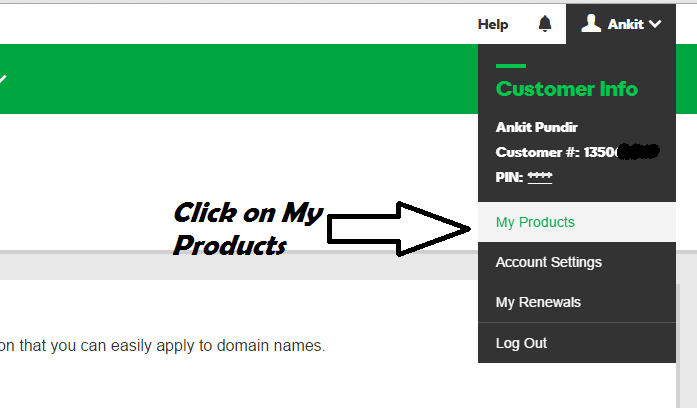 First enter your desired domain name in the search bar of godaddy or the domain name provider and after that just click Continue to Cart. Now after that You need to enter the Coupon code and Proceed to check out for being billed. Now Proceed and enter your details in the next tab shown. And also you need to put your Debit/Credit card details to make the transaction. Now you have successfully brought a Domain name. Now it's time to map your domain to your blogger. For setting up your custom domain you need to login to the control panel of your domain name provider with a user name and password which you had set in early steps. Now On top left you will see your user name with a drop down arrow key. Move your cursor there and click and a drop down menu will appear, from there just click on to 'My Products'. Now after that, You need to click on '+' expand on 'Domain' Option and then click on 'Manage Dns'. Now After Clicking 'Mange Dns' you will see this page. Now as like shown in picture enter the details as mentioned there, except first CNAME, as you need to enter yours which will be given in blogger. Or you will get these details in the blogger's help page. Now Login to your Blogger's Dashboard and then navigate to 'Setting' and click on 'Set up third party url for your blog'. and put 'www.yourdomain name.com' there and after clicking save you will get your CNAME record. And after that you need to put that in your Domain management there which was omitted earlier. Now after putting the CNAME records in your Domain name control panel. Just wait for few minutes and then come back to blogger's 'setting' then 'basic' and then again 'Blog address' and now press save again and your new domain will be saved. Also do check 'redirect xyz.com to www.xyz.com' here xyz is your domain name. By this people will be redirected to your website without typing www every time. Finally we have learned and set up a custom domain in blogger. Now get yourself a custom domain fast and start dominating the internet world. 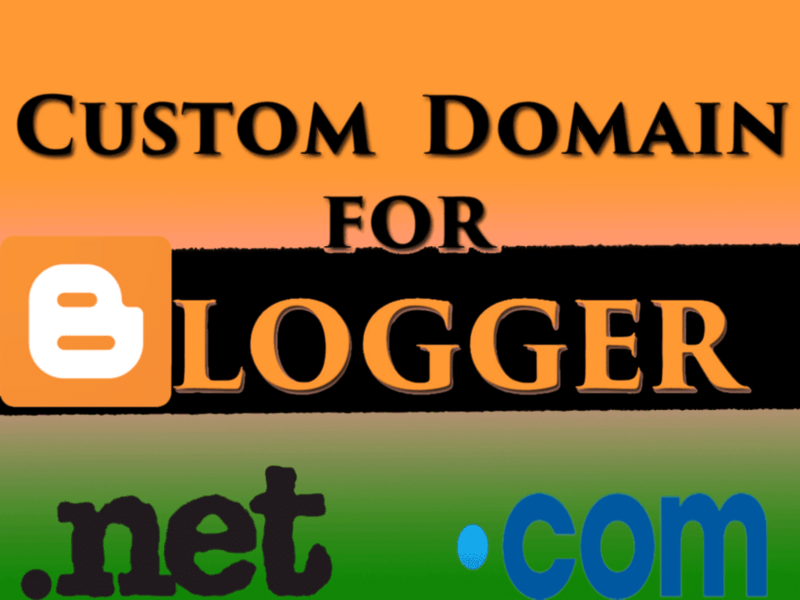 If you have any suggestion or feed back regarding this post on setting up a custom domain in blogger then mention me in comment and if you find this topic helpful then share this article with your friends too.